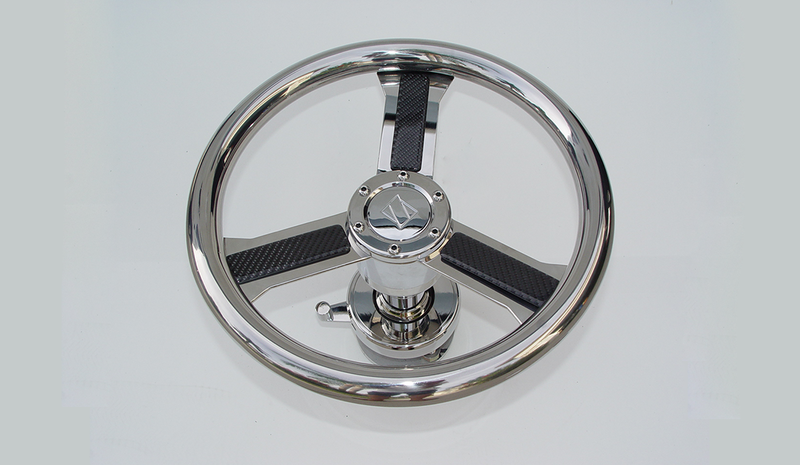 Introducing the most innovative design in stainless steel steering wheels. 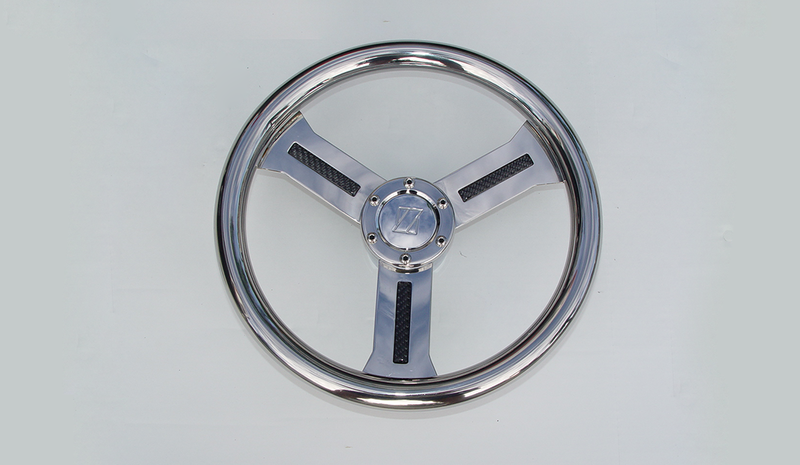 Made in the USA our designers created several new looks by utilizing the building block concept. 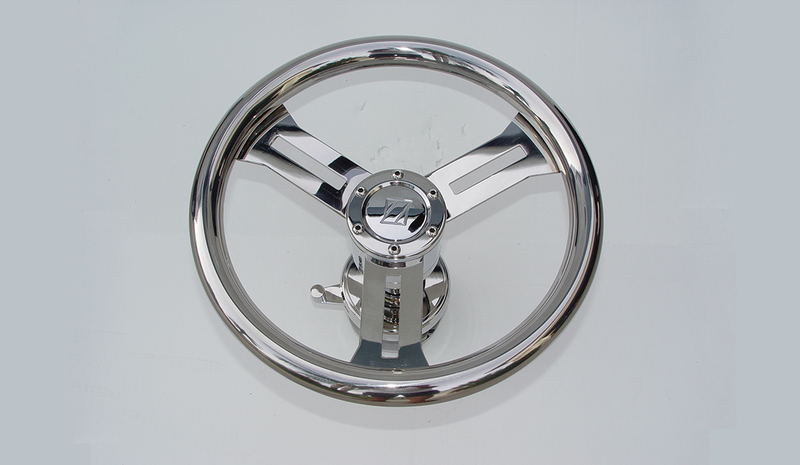 Starting with the stainless wheel only, you can design the look that best matches your dash and helm. 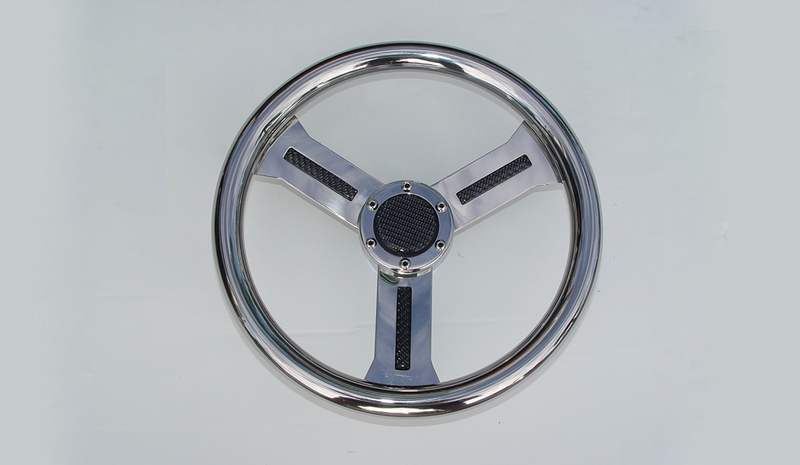 By simply adding our options available you change the look drastically. 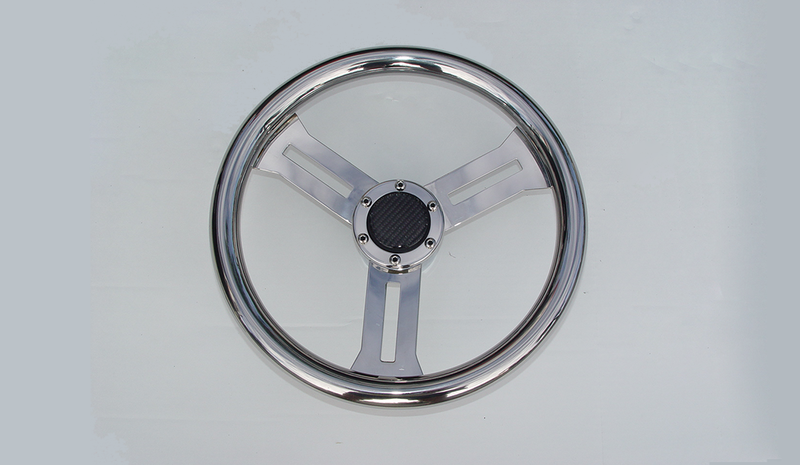 Complete the quality look from wheel to dash and mated to our tilt helm or standard helm kit. You won't find a better marriage anywhere. 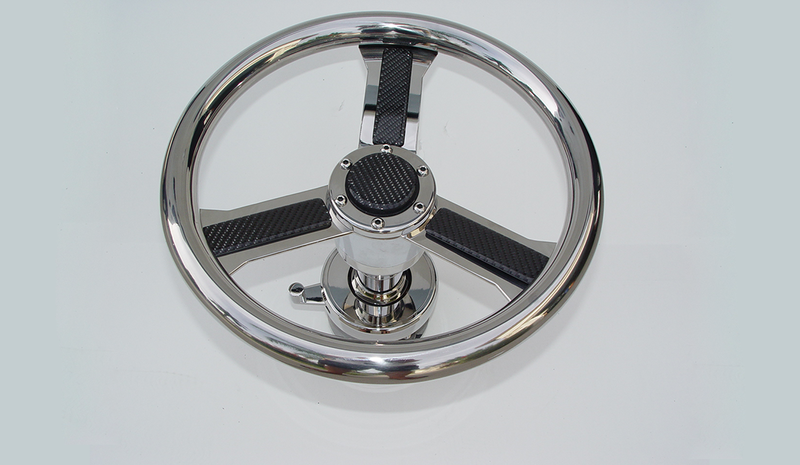 From a simple fish boat look to the high end Center Council, Sport Fish Yacht, or Sport Cruisers with the widely used carbon fiber dash, our wheel with real carbon fiber inserts adds a stunning finish to your dash and helm, only offered by Zeiger Marine Products.